Hydraulic filters from Filters Plus feature superior filter design and manufacturing expertise. This ensures your engines can operate at peak efficiency in even the most rugged environments. Backed by comprehensive research, testing and high-tech filter media, our range of hydraulic filters are proven to be reliable, long-lasting and easy to install. Off-road, agricultural, construction and other heavy-duty vehicles and equipments depend on hydraulic fluids to power many of their critical functions. 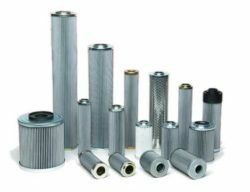 Filters Plus proudly supplies hydraulic filters and products from some of the world’s leading filtration specialists, including WIX, Mann & Hummel, Donaldson, Filtrec, Sakura, and Wesfil. With these brands, we can meet all of your filter needs, including low, medium and high pressure options. For performance under any pressure, get in touch with the experienced team at Filters Plus. We’ll help you find the right filters at the best prices.